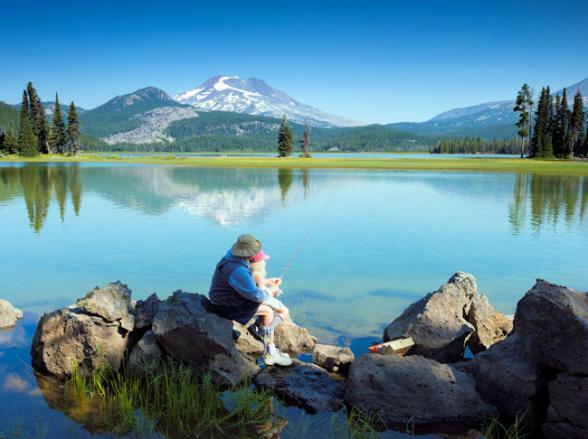 Cascade Lakes National Scenic Byway presents the opportunity to take a 66-mile loop through Deschutes National Forest. Halfway between Sunriver and Bend, the area’s geologic wonders begin unfolding. Newberry Volcano, an 18-mile caldera containing East and Pauline Lakes, is the country’s largest obsidian flow with many waterfalls. The Lava Lands Visitor Center on Lava Butte provides an excellent orientation to the volcanic landscape and the Trail of Molten Lava. Surround yourself with more natural beauty and breathtaking views by taking the scenic chairlift to the summit of Mt. Bachelor. 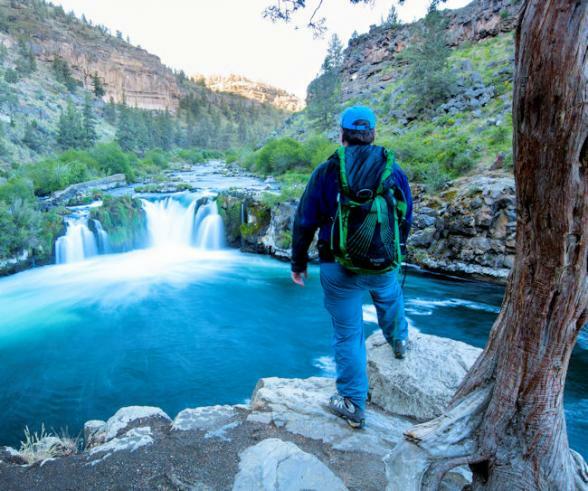 The Deschutes River Trail through Bend passes a beautiful series of cascading falls. 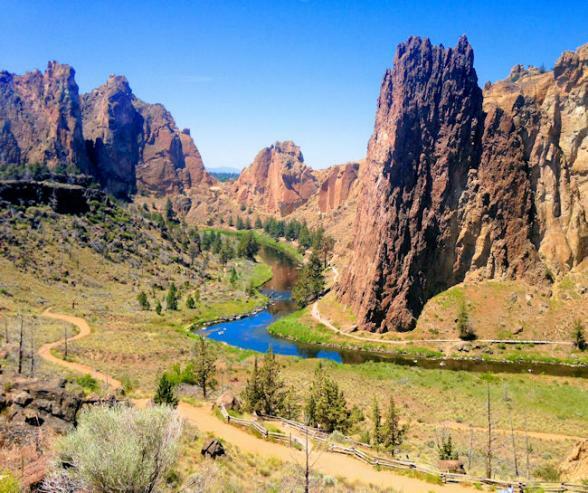 Smith Rock State Park is an internationally known destination for rock climbers. 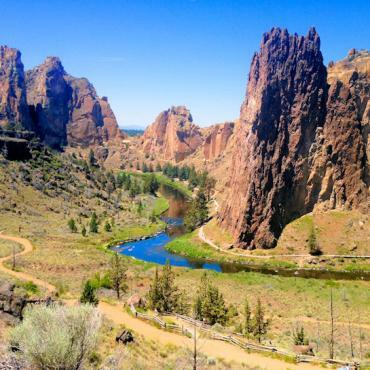 Hiking trails along the Crooked River deliver grand vistas of the canyon. More activities available include a river float, wine tasting, fishing, mountain biking, golf and rock-hounding. 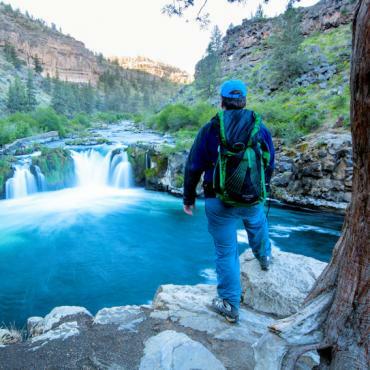 Bend is a fabulous base from which to explore the incredible Oregon Wilderness, call Bon Voyage to discuss the accommodation options available to you and for help in planning your adventure around Oregon.